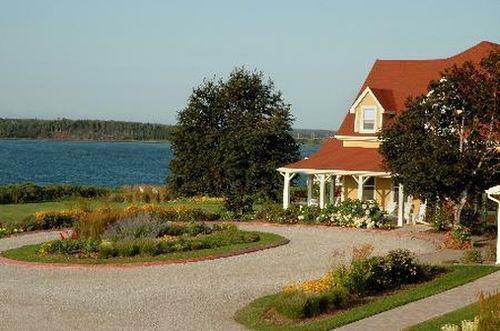 This waterfront property is located right on Covehead Bay and offers amenities like an outdoor pool, on-site spa services, an on-site restaurant and free Wi-Fi, making it an ideal choice for those who want a view and those who want more than basic accommodations. 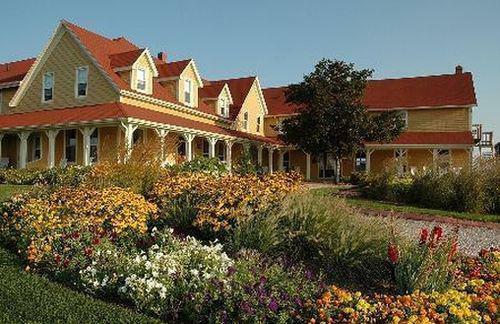 This 100% smoke free hotel offers rooms, suites and cottage-style accommodations. Standard rooms come with an alarm clock, cable TV, an iron and ironing board, a hair dryer and individual climate control. 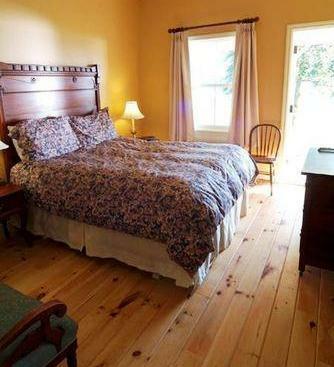 Suites feature a king bed and a jetted tub in addition to standard room features while the cottage-style accommodations also come with a mini-fridge, semi-private decks and two or three bedrooms. Free local calls and free Wi-Fi come with all accommodations. A free buffet breakfast is offered daily from 7 am to 10 am and on-site parking is free. Pets are permitted to stay for a fee of $35 per stay. Additional amenities include an outdoor pool, a fitness centre, on-site spa services, babysitting services, bike rental, a 24-hour front desk, an on-site restaurant (The Red Dory) and an on-site bar (Little Boat Bar). This hotel is wheelchair-accessible. It should be noted that due to a recent norovirus outbreak, the resort is currently closed until May 2013. 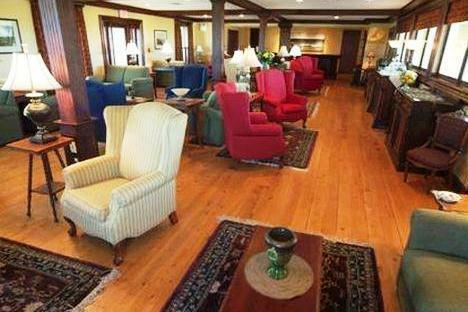 Confirmed with a front desk agent on March 20, 2013: closed for the season, breakfast hours, pet policy and free Wi-Fi. The positive reviews outnumbered the negative reviews, among the reviews sourced for this analysis. 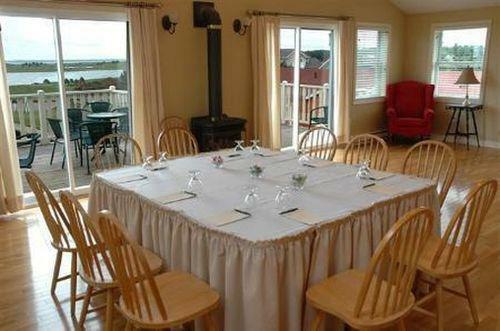 Guests were impressed with the location, the staff, the rooms, the pool and the restaurant. Many guests found the hotel's location to be scenic and convenient for exploring the area by car. Several guests liked that the hotel provided easy access to the beach while others thought it was the perfect location to spend a weekend relaxing. The staff, according to many reviewers, were friendly and professional. However, there are some mixed reviews about this (see below for more details). The rooms were clean and had great beach views, according to many guests. One reviewer described the view as spectacular while another said it was picturesque. According to several reviewers, the pool was a favourable source of entertainment, especially for those guests travelling with children. Additionally, some guests enjoyed the food at the on-site restaurant. As mentioned above, the majority of reviews for this hotel were positive but there were some common complaints about the staff, the soundproofing and the shower temperature. Although many guests complimented the staff for their professionalism, there were several guests who did not feel the same way. According to these guests, the recent norovirus outbreak (late August 2012 to early September 2012) was not managed well and guests felt there was little communication regarding this from staff and management. It should be noted that the hotel is currently closed for the season as a result of the outbreak and is scheduled to reopen in May 2013. A couple guests felt the walls were thin and complained of noise. A couple of reviewers also claimed the shower temperature was either too hot or too cold. Booking.com rated this hotel 7.6 out of 10 based on 11 reviews. TripAdvisor.com ranked this hotel #2 out of 4 specialty lodging facilities in Stanhope based on 62 reviews, with an average rating of 3.5 out of 5. The author verified some information with the hotel on March 20, 2013.